A three bedroom semi-detached modern family home occupying a stunning corner plot of 0.10 of an acre with off street parking for a number of vehicles, a detached timber chalet and a conservatory to the rear. Forming part of the popular Manor Park Development with access to Hempstead Fields and Buxted Park. This impressive home enjoys a generous corner plot with tall timber gates to the rear opening to hard standing which provides off street parking for a number of vehicles. Additional hard standing to the front of the property provides further off street parking. 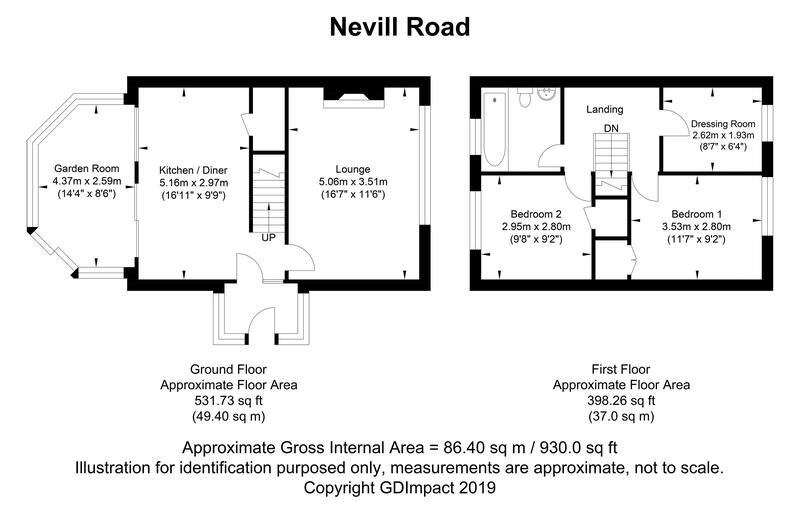 The property comprises in brief, on the ground floor, an entrance porch, an entrance hallway, 16’11 x 9’9 kitchen/diner fitted with a range of matching units with built in four ring gas hob and high level oven and grill, breakfast bar and useful larder style cupboard. A personal door leads through to the 14’4 x 8’6 conservatory with sliding patio door opening to the rear garden and a 16’7 x 9’9 sitting room. The first floor provides a three bedrooms and a beautifully re-fitted family bathroom with double ended bath and built-in Aqualisa shower. Outside the rear gardens are mainly laid to lawn enclosed by close board fencing with a detached timber chalet and timber shed. 87 Nevill Road is pleasantly positioned on a corner plot, within a short stroll of the picturesque Buxted Park offering fine scenic walks. A small parade of shops is also nearby including a Tesco Express whilst both primary and secondary schools together with a popular leisure centre are also within striking distance. Uckfield town centre is within walking distance and offers a comprehensive range of shopping and leisure facilities including a cinema, several bars/restaurants as well as a popular leisure centre and railway station providing services to London. Sporting and recreational facilities are within close range including golf courses at the East Sussex National course and the Royal Ashdown at Forest Row. The nearby A272 provides swift vehicular access to Haywards Heath which offers an excellent commuter train service to London (Victoria/London Bridge both approximately 47 mins) whilst the motorway network of the M23/25 is also easily accessed west of Haywards Heath at Bolney village. The coastal resorts of Eastbourne and Brighton city centre are also close by.